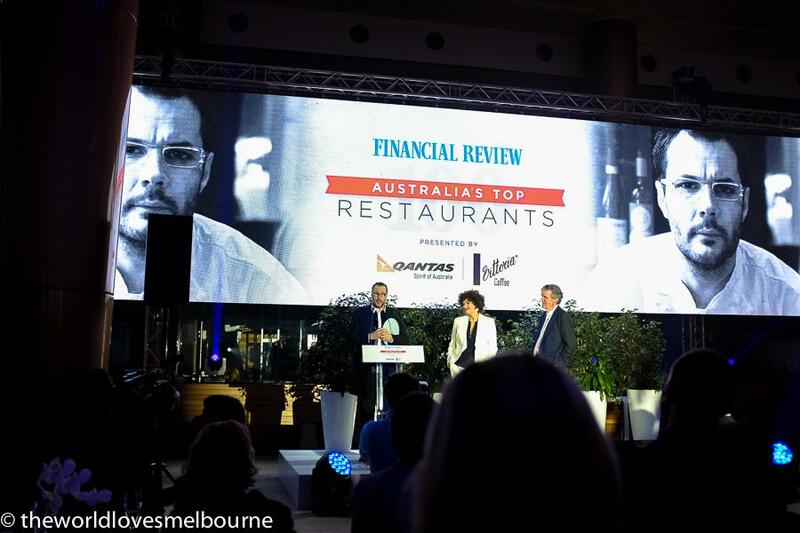 The inaugural AFR Top 100 Restaurants at Crown Towers was a resounding success with a glitterati of foodie identities present from around the country. The World Loves Sydney attends many awards nights but this was a game changer. 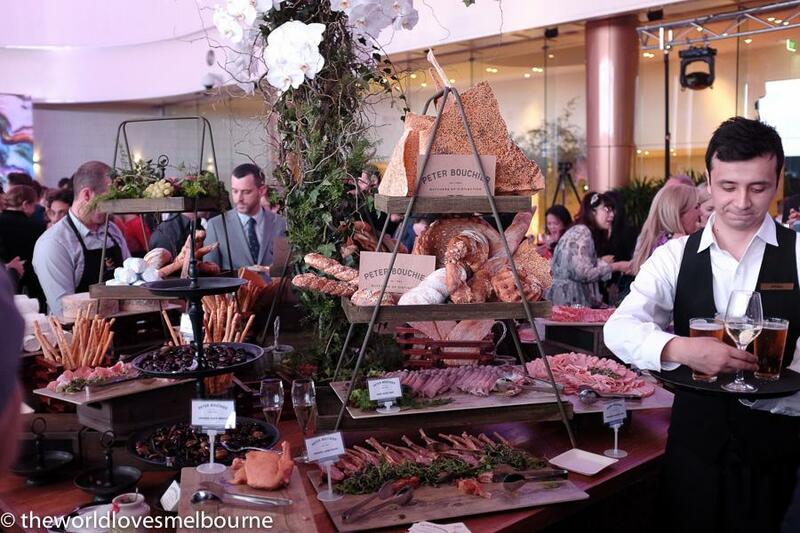 Not reviewers this time, but the industry itself, voted on Australia's top 100 restaurants. So if your restaurant does well here, you can imagine you have street cred with your peers. 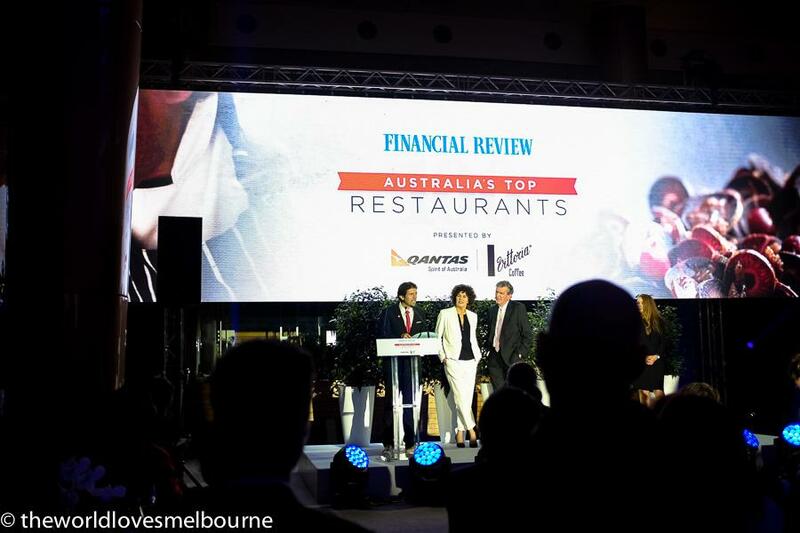 Sydney and NSW has an outstanding awards result with a plethora of fine resturants in the top 100. 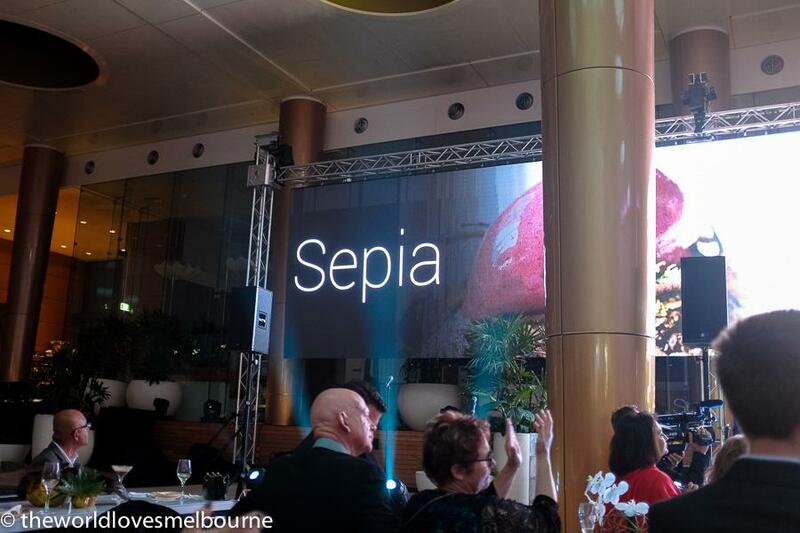 Sepia was the winner of the best restaurant in Australia, with Martin Benn also scoring best chef award. 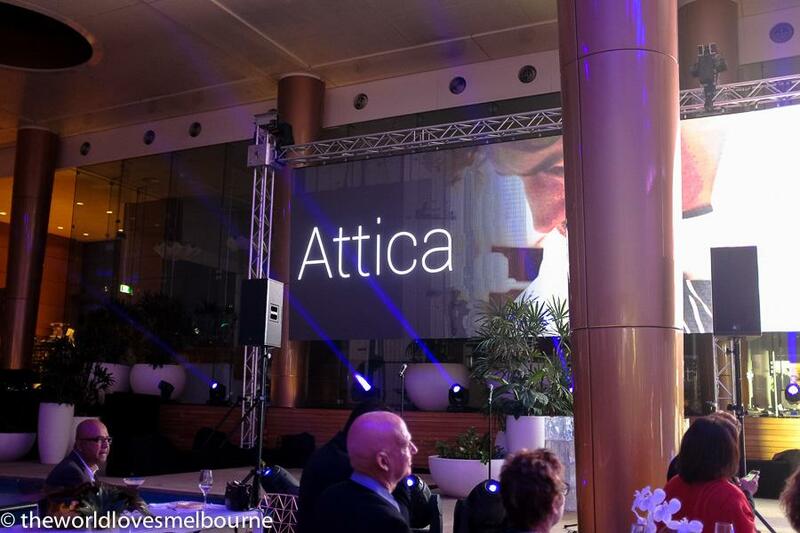 Attica from Melbourne came in at number 2 with Ben Shewry on social media acknowledging how special it is to be voted in by your peers, and giving credit to his team. The World Loves Sydney didn't see too many surprises in the top 10, and felt Sydney and NSW as a whole had an outstanding awards result. 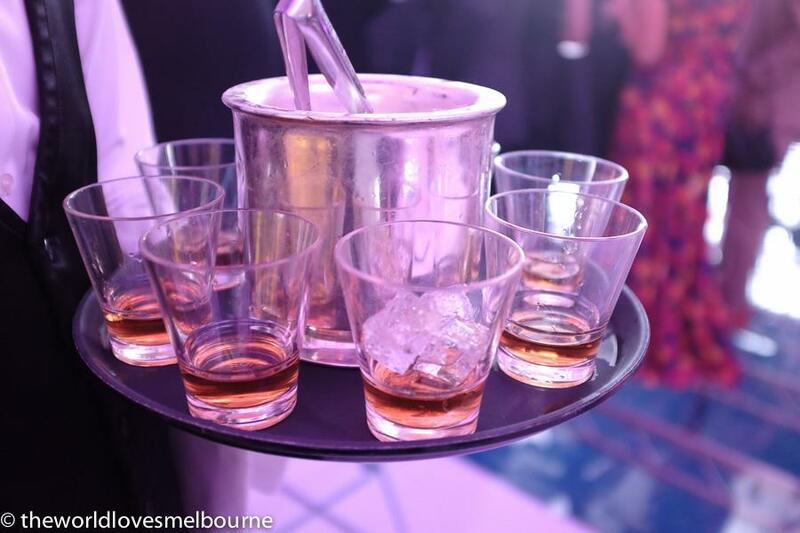 Having attended the recent S Pellegrino Asia Best 50 Awards in Singapore, we found there to be some similarities in the style of the evening. 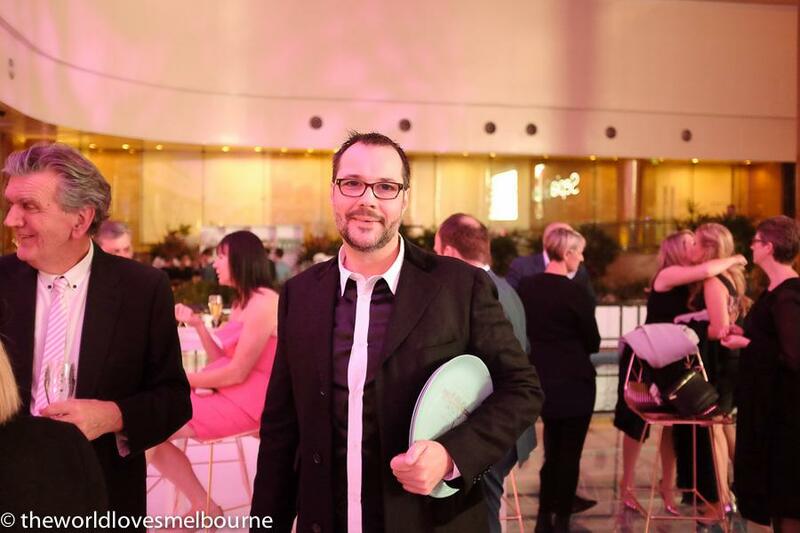 The S Pellegrino Asia Best 50 Awards remarkably don't include Australia, and we managed to ask William Drew, Group Editor about this during an interview on Sentosa Island. So it is appropriate that Australia has it's own industry based awards. As was pointed out the voting was not just about where chefs eat after service each night. Each chef carefully weighed up their votes, and respect was given by each voting chef for their peers. The bar has been set high for this first event with a gala evening worthy of the occasion. 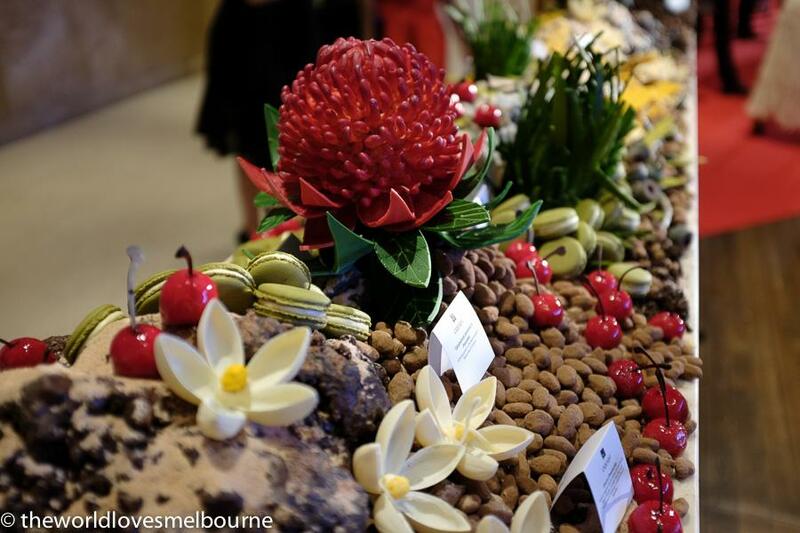 We were captivated with the elaborate Victoria's Chocolate Garden upon entry - and then managed to break off and eat some of its contents as we left. 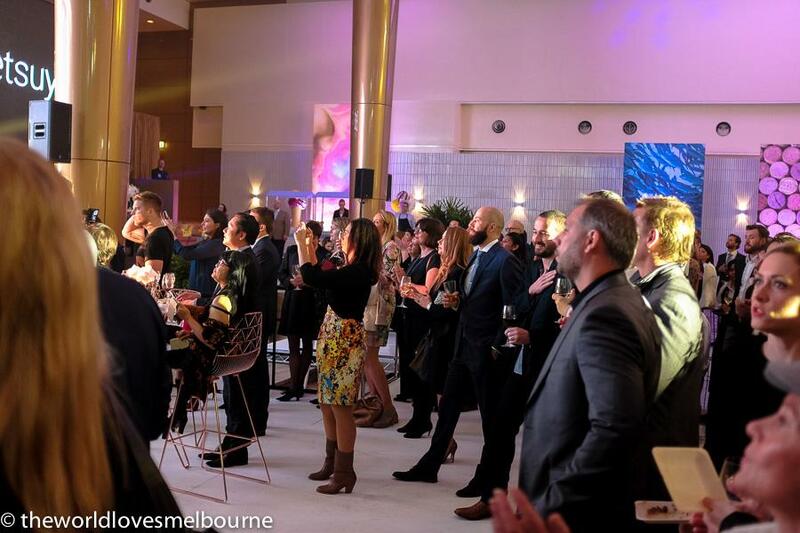 The event was held on a floor just above the pool in Crown Towers in Melbourne, and synchronised dancers entertained us from part of the pool, as well as a robust band playing covers. Scaling the room we discerned a high number of NSW and Victorian representatives, the two states dominating the event. Only 4 Queensland restaurants made it into the top 100 and only a few from the other states (we celebrate with Magill Estate and with Garagistes for example). This result didn't surprise The World Loves Sydney but seemed to surprise some others. Spectacular was the food, with Peter Bouchier serving up his finest at an elaborate station in the middle of the room. 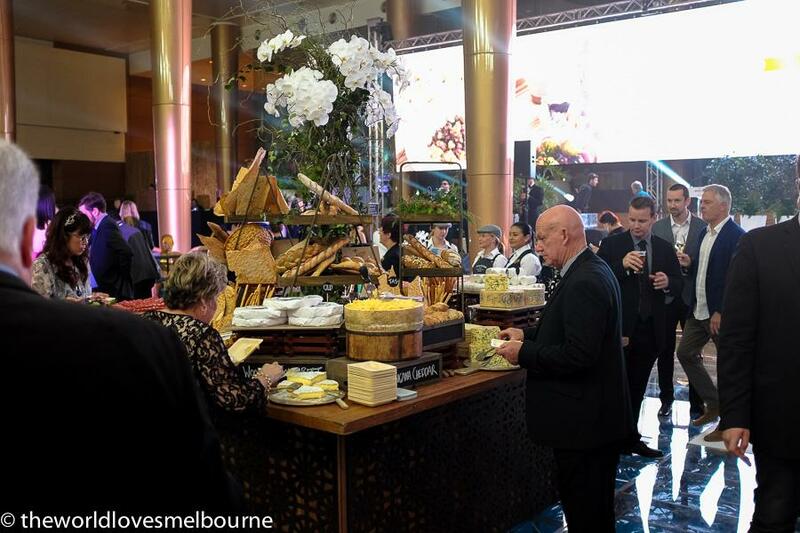 Fine cheeses were also in abundance from all over Australia. 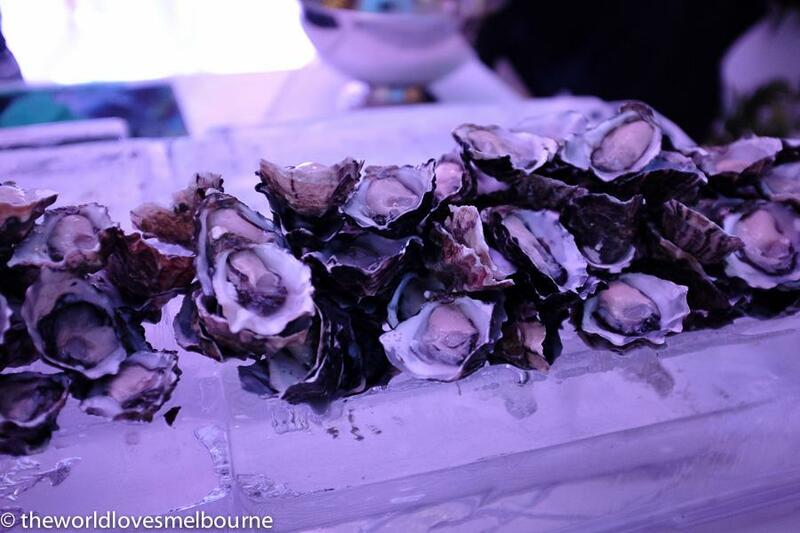 Not to mention canapes in abundance and fine wines. The first 50 awards of the top 100 were rolled out via video. 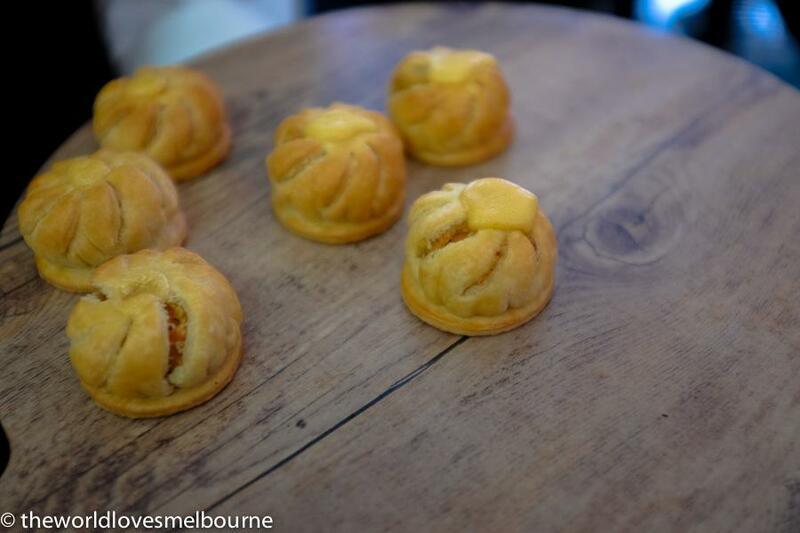 The World Loves Sydney was taken by the number of humble restaurants popular with chefs like Belles Hot Chicken in Melbourne at number 79 and Golden Century from Sydney at a sensational no 37. 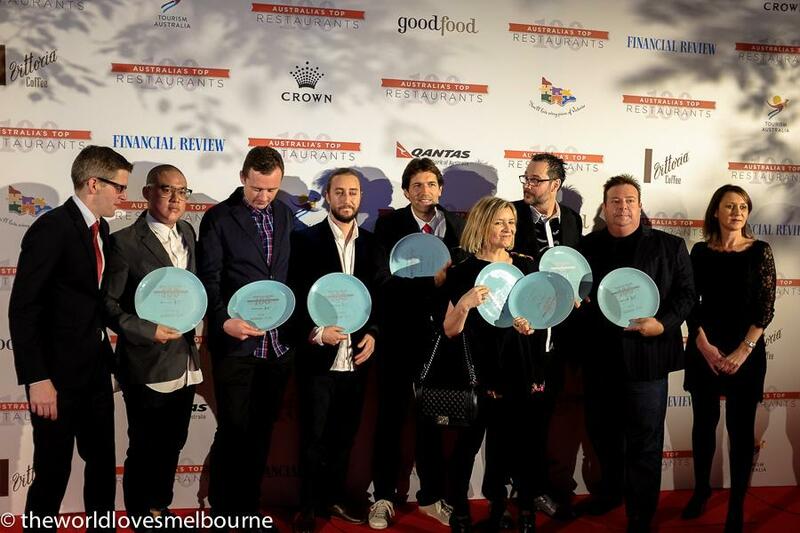 Presenters for the top 50 were directors of the AFR Top 100 Restaurants Jill Dupleix and Terry Durack. We heard the Australian restaurant scene was a family with chefs trained in iconic kitchens often launching out themselves into new ventures. 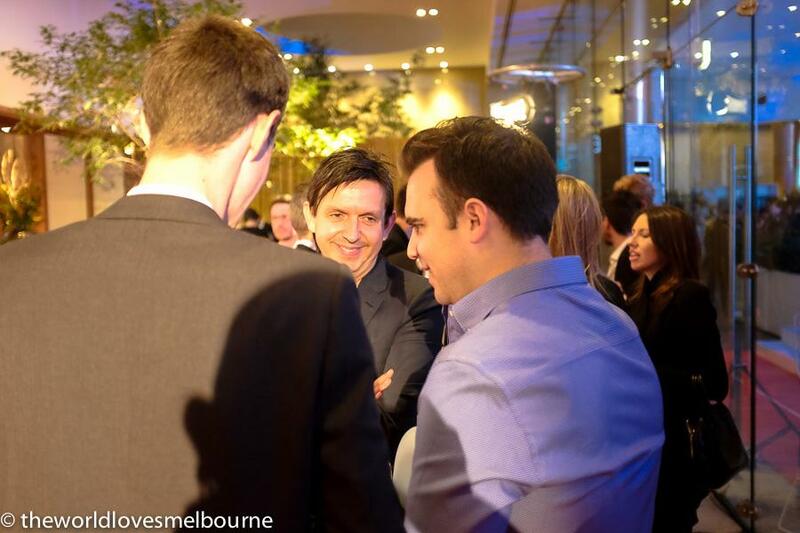 We also heard from other AFR representatives including Michael Stutchbury, Qantas and Victorian Tourism was on hand. 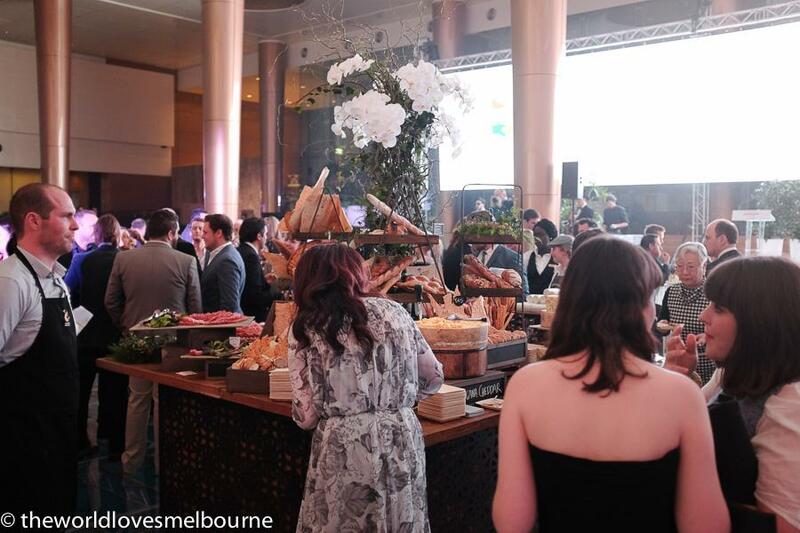 Victorian based restaurants were high up in the top 50 including Brae at no 4, Cutler and Co at no 5, Vue De Monde at no 6, Flower Drum at no 11, Movida at no 15, The Town Mouse at no 18, Cafe Di Stasio at no 20, Saint Crispin at no 22, Supernormal at no 24, Estelle at no 27, Lee Ho Fook at no 28 and Lakehouse at no 30. Lee Ho Fook is an interesting one, with our own experience there exceptional. The World Loves Sydney was thrilled to see top Sydney restaurants like Sepia at no 1, Quay at no 3, Sixpenny at no 8, Mr Wong at no 9, Tetsuta's at no 10, Rockpool at no 12, Bentley Restaurant and Bar at no 13, Ester at no 14, Momofuku Seiobo at no 16, and Cafe Paci at no 19, as well as newcomers like Nomad at no 68. Andrew McConnell must be satisfied to have several restaurants in the top 100. After the winner was announced it was time to check out more of the food stations. G.H. 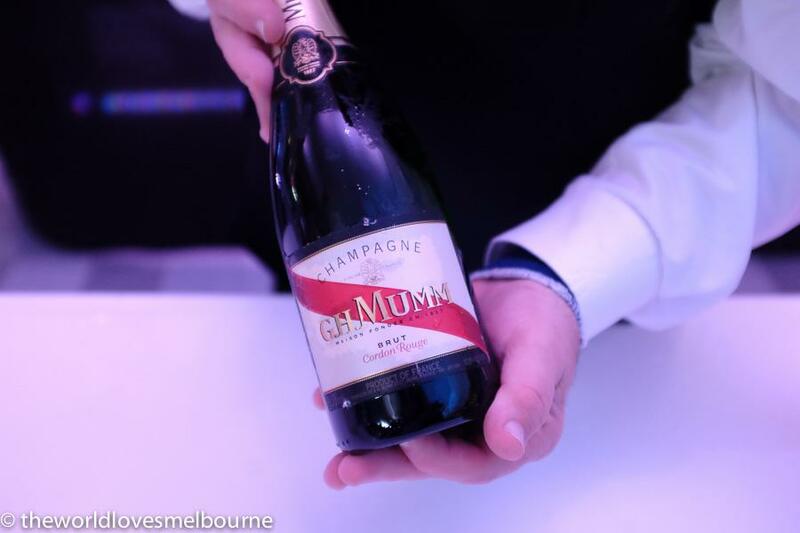 Mumm champagne was welcomed. As was Singleton Scotch Whisky. After the success of the inaugural event, the future looks bright for these industry based awards.